In the heart of Downtown on a quiet street sits this 3 bedroom home only 5 blocks from Lincoln Avenue's dining and shopping. 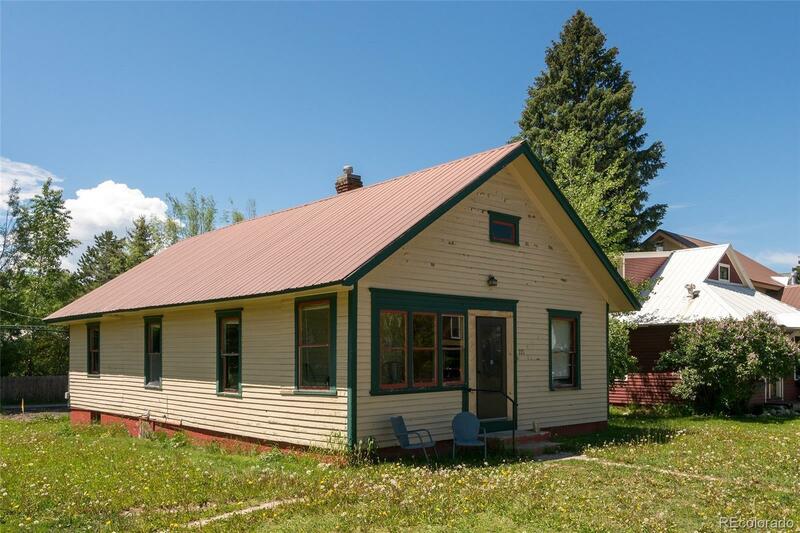 This classic Steamboat home has only had two owners since itâs construction in 1910. The main level floorplan is an open living room and dining area, eat-in kitchen, and entry sunroom. Large windows and original wood floors provide a warm and inviting atmosphere. There is plenty of storage space in the outside shed or in the basement area which could be transformed into a recreation room. The spacious backyard is a great location for afternoon barbeques and thereâs plenty of room for a future garage with apartment above to be accessed from the alley. With Butcherknife Creek bubbling nearby, the location is ideal being close to downtown, schools and Stehley Park is just a short dog-walk away. Downtown homes with this much charm rarely come on the market and this is truly one of a kind.